and a follow to stay ! The combination "Sismo + Lipo" acts as the best overall solution to date to lose inches on the desired areas. After 10 sessions and food hygiene, inches lost are sustainable. Associated with a low calorie program, the results are spectacular. before the exposure session with contact LEDs, a short session of Sismo® may be proposed to activate blood circulation for better responsiveness of cells. 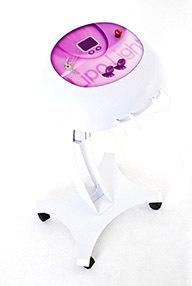 Then comes the Lipo-Light® session (20 minutes) releasing fat from desired areas. In this liporeduction post-session a SismoDermie session will create a demand for energy and the body will then draw on newly released fatty acids upstream by Lipo-Light®. In all, the Sismo-Lipo session lasted about 40 minutes. Complete zone cure consists of 10 sessions over 1 month. 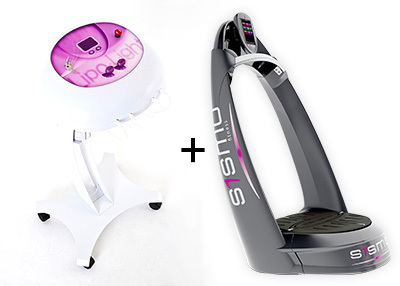 2 machines to slim & lose weight + and a follow to stay ! has never been so easy and affordable. Your schedule will be (over) loaded ! Devices (1 Lipo-Light®, 1 Sismo First®, 1 Sismo-Scan optional), devices formations, the Premium marketing pack (of decoration, sign, furniture, reception desk, table, lounge area, marketing, logistics, management tools, the smallest pen, everything is included key in hand, excluding work): we support you and assist you in this adventure. On your side, you can just find the perfect local.